Already more than 2 months have passed since I've started to train again. First month I focused on short distances on running, with 7 sessions around 5-6 km just trying to keep a constant rhythm but never trying to push it. I also added 6 cycling trainings and just one swim training. The goal was to reboot the body, sort of speaking, I just followed my feelings and never cared so much about the speed. I was just enjoying my return to the sport (I still do). 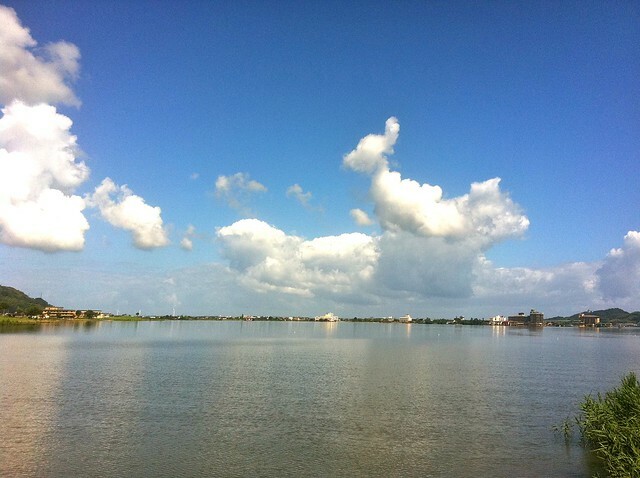 I train often around Togo lake with my bike. My usual course when running. This is just before they harvest the rice fields. 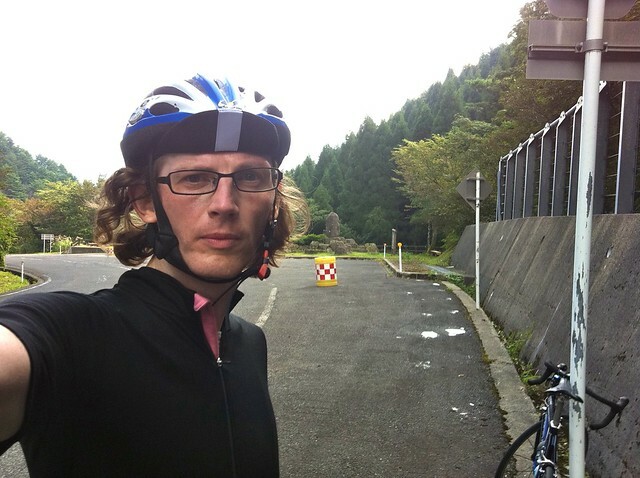 This is from my bike training in the Mitokusan temple area. Pass is at almost 600m which is a good training for me coming from an area at sea level. 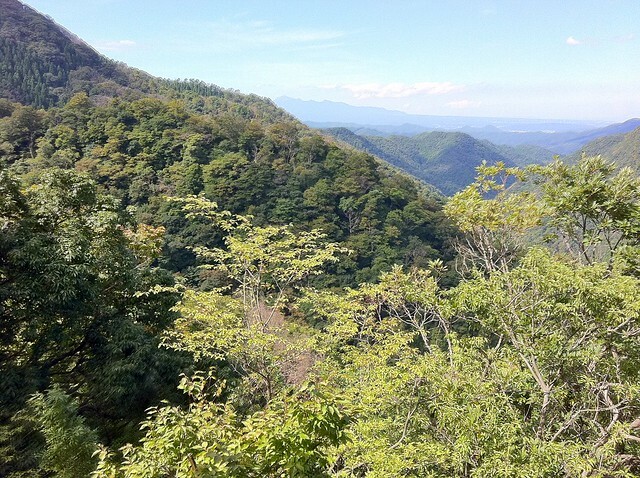 This from top of Hachibuse mountain, also at a bit less than 600m. 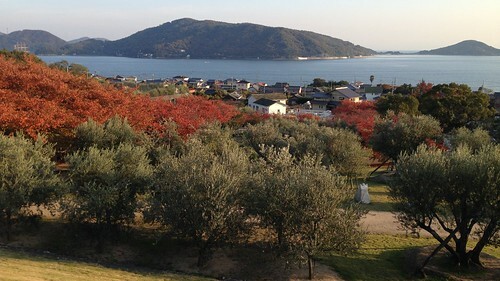 Great view, we can see a piece of Togo lake. 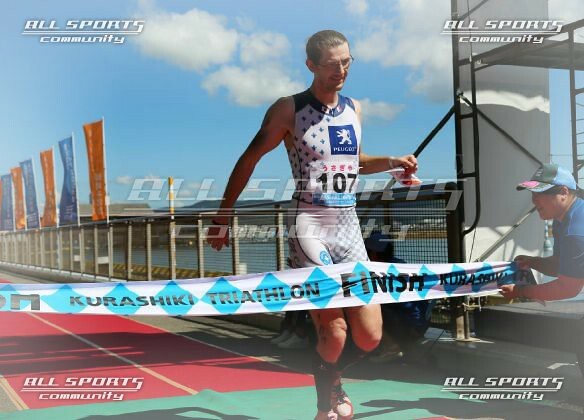 Paying respect to my old club in Le Havre wearing the Havre Athletic Club Triathlon jersey. 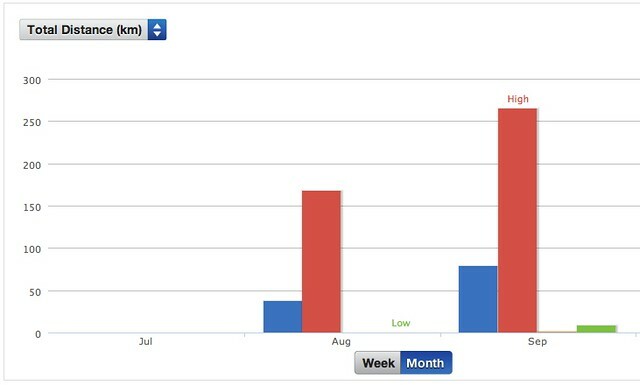 Some data from Runkeeper : volume for August and September, I am progressively increasing the distances. In September I exercised more regularly and added more sessions : 5 swimming trainings, 7 cycling, 10 running. 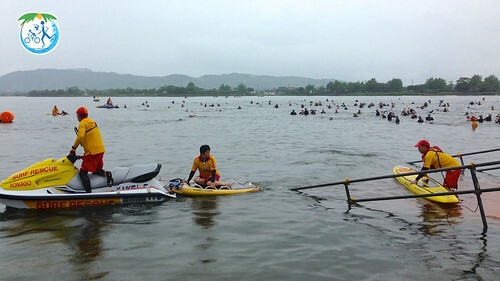 A typhoon came at a good time to avoid me to over train (a mistake you might make when you have to much motivation) as I could not go out for 3 days. It was only the second month so the body still needed to readapt to this new routine. I have progressively lengthen the runnings, reaching an average 8km I think, I also added a bit of intensity starting to do few interval trainings again. 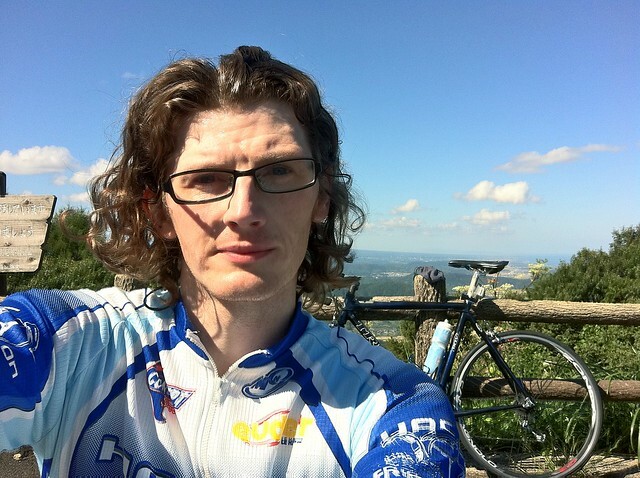 I think my cycling is coming back quite well also, I have good feelings on the bike. 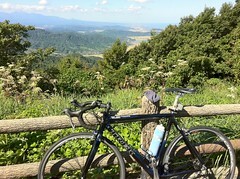 Even in the semi-mountains around here, the cadence of pedaling is showing some good signs. Still I am clearly far from my objectives but it's still reassuring that I am seeing progress already. 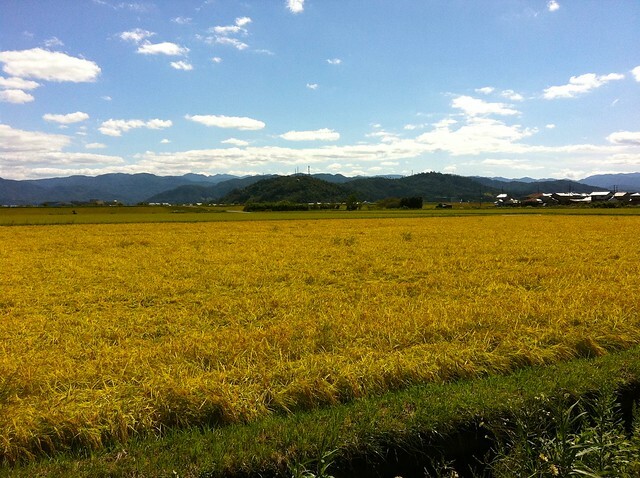 Also apart from the few days of typhoon, September is a great month for the weather and the countryside here is gorgeous, I feel lucky to be able to enjoy this environment. I am discovering more and more the area and even go to places that locals barely know and some roads in the mountain that are not even on google maps :-). I must add that my diet improved greatly since I am living in the countryside, eating almost always at home and fresh products. This is helping for sure. 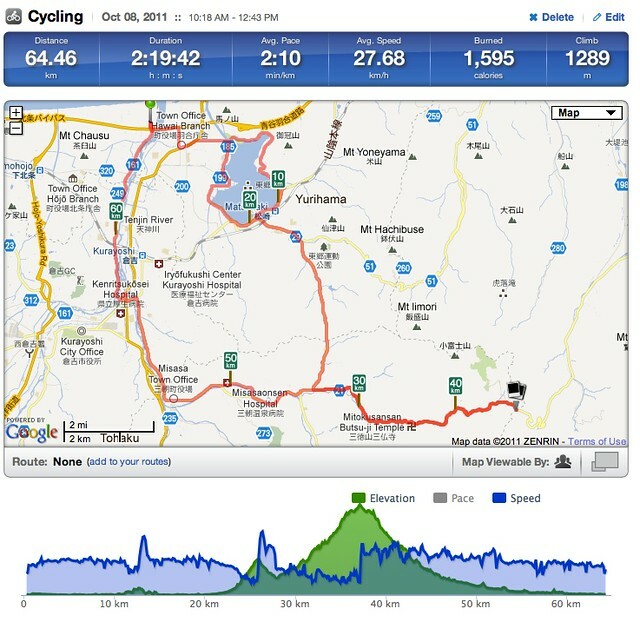 One of my cycling training in Runkeeper. I am going to buy the Wahoo Run pack (plug for iphone) to have cardio data also in the graph and control more what am doing. 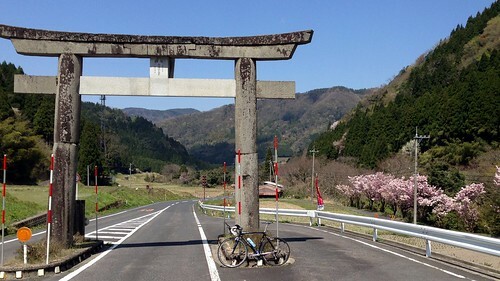 At the mountain pass limit between, Tottori town and Misasa town [famous for curative radioactive hot springs [?]]. On the Runkeeper/google map above you can see this place, located with 2 small polaroid style icons. 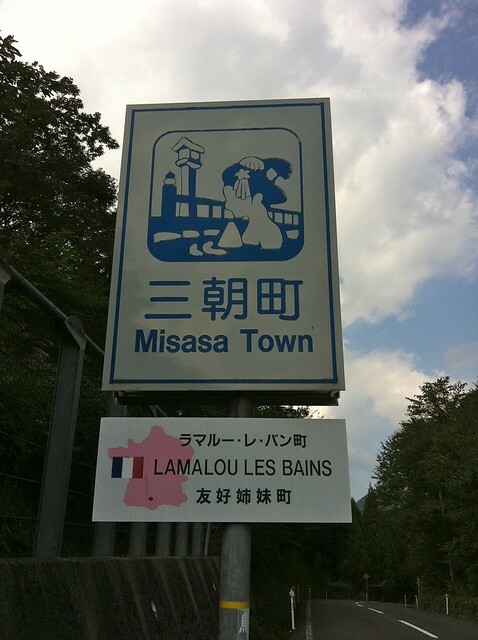 I discovered over-there that Misasa was a sister town of Lamalou les Bains in France, also a hot spring town. On October the 16th, I will participate to the Daisen cycling climb, a 14 km with about 700m of climb. I already rode it during a training, some severe percentages at some points, it should be fun to ride with others. Hey keep up the good work! Where do you swim? You have a swimming pool there? Yes there's pool [Kurayoshi city] about 9km from home so it's cool. I haven't swam a lot yet but will go more often from now on.